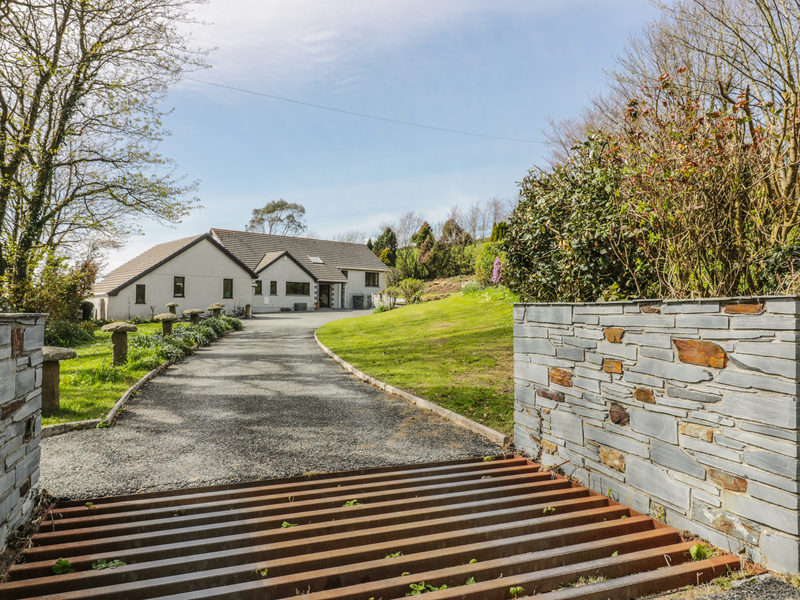 Higher Kernick Farm is a heart-warming cottage located in the village of Egloskerry, Launceston. Hosting four bedrooms; a super king-size double, zip/link, with en-suite bathroom, a king-size double with jack and jill bathroom, king-size double with dressing area and bunk bedroom with separate bathroom. Inside you will also find a kitchen/diner, and a lounge/diner with an open fire. To the outside is off-road parking, and enclosed gardens with hot tub. Resting in a lovely location with tranquil grounds and gardens, this fabulous retreat offers a wonderful getaway in an unspoilt part of England. Electric central heating with open fire. Electric oven and hob, microwave, fridge/freezer, washer/dryer, dishwasher, TV with Freeview, WiFi, selection of books, games and DVDs. Fuel and power inc. in rent. Bed linen and towels inc. in rent. Off-road parking. Enclosed gardens. Two well-behaved pets welcome, downstairs only. Sorry, no smoking. Shop 4 miles, pub 2 miles. Note: This is a split level bungalow with stairs between each level.